The following information outlines some of the more important details which you will need to consider in the course of making your wedding arrangements, should you wish to get married at St Peter’s Church. Contact the Vicar, Rev’d Jonathan Gale by email or by phone and check the availability for the date and time which you have in mind for your wedding. Your booking will be entered into the wedding book and then becomes definite. Should you wish to change the date or time, or even to cancel the booking altogether, or should your address or phone number change, please contact the Vicar in the first instance. When Do I Arrange A Meeting? When you make a booking, you need to also arrange to meet the Vicar as soon as is convenient. At this meeting all the specifics of the Wedding Service will be discussed with you. You will also be informed of the date and time for two evenings of Wedding Preparation and the date and time of your Wedding Rehearsal. What Time Will Our Wedding Be? The preferred day and time for a wedding at St Peter’s is on a Saturday afternoon from 2.30 p.m. We also would prefer that weddings are not arranged for Mondays or Wednesday mornings. What Are The Wedding Preparation Sessions? Pre-marriage sessions may be arranged with the Vicar, and may take place together with other couples who are getting married at St Peter’s Church. Each of these lasts 1½ hours. Here we discuss informally some of the basic, important areas you will be facing in married life. While these sessions are not compulsory they do provide a great opportunity for couples to spend quality time together reflecting on married life and they give the clergy a chance to get to know you better. Normally a wedding rehearsal will be arranged for the day before the wedding day. As many of the Bridal Party as possible should be present. What Is The Order Of The Service? A copy of the order of service is available on request. However there is some latitude to make minor adjustments to the service with the agreement of the Vicar. The emphasis in the Marriage Service is on the nature of Christian Marriage and this is reflected in the wording of the Service . You will need to decide whether you wish to have any hymns or special musical items during the ceremony. St Peter’s has an excellent pipe organ and we have professional organists in the Parish who are available to play at your wedding. Their services include playing music as the guests are arriving before the wedding commences, playing as the bride arrives and as the wedding party leaves and if required, for any special items and hymns you may have chosen, during the ceremony. The Organist’s fee is approximately $170. Please seal this in an envelope marked Organist and give to the Vicar at the time of delivering the Marriage Licence at least 9 days before the wedding. The church also has a sound system which can accommodate recorded music on a CD or iPod. All matters regarding your choice of music and hymns need to be discussed with the Clergy and must be in keeping with the nature and dignity of the Service. Who Organises The Flowers For The Church? The flowers in the Church are arranged by one of our parishioners who has had many years experience in suitable and appropriate floral decoration. The cost varies depending on what is required. Please discuss your preferences for colours with the vicar. At least two floral arrangements will be placed in the church for your wedding day. It is assumed that the flowers will remain in the church following the wedding for the wider congregation’s enjoyment at the Sunday services. What Readings Are Permitted In The Service? A reading from a relevant section of the Bible on the nature of Christian love and marriage is normally part of the Marriage Service. You are free to choose your own reading from the Bible. The clergy are happy to help you make your selection. A popular choice is the one from 1 Corinthians 13 which outlines the nature of Christian love in action. Other appropriate readings from secular sources are also permitted in addition to the Bible reading. What Is The Significance Of A Wedding Candle? An additional touch to a Wedding Service is the lighting of a Wedding Candle symbolising the joining of two lives together. This is an optional addition to the wedding ceremony. You would need to deliver your candle at the same time as you do the wedding licence and the money. Can We Have Photographs And A Video During The Service? Photography and videography of the service are permitted. However, the only photos to be taken during the Service are by arrangement between the Vicar and the official bridal photographer and videographer. No flood lights or ‘sun-guns’ are to be used in the church. Can We Have A Wedding In Your Church If We Are Divorced? The Anglican Church does allow the marriage of divorced people. It is however assumed that both partners of the intending marriage desire to abide by the life-long nature of Marriage. Do You Have A Service For Blessing A Wedding? 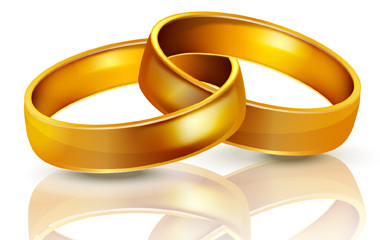 From time to time people who are already married wish to re-affirm their wedding vows in church in the presence of God. We are happy to facilitate such a ceremony and will provide a wedding blessing certificate to mark the occasion. This service follows very closely the structure of a normal wedding service; however the vows are said in such a way as to acknowledge that they are being re-affirmed. Who Procures The Marriage Licence? The wedding couple is responsible for procuring a Marriage Licence. Before a Marriage can be solemnised a Marriage Licence must be obtained from the Registrar of Marriages. The application can be made by either party. The application form can be downloaded from the Government website. Go to www.bdm.govt.nz and select Marriages, where you can choose the applicable form for Notice of Intended Marriage. There is a statutory delay of about 4 days between applying for and receiving the Licence. Once issued, the Licence is valid for 3 months. It is preferred that the Marriage Licence be delivered to the Vicar as soon as possible after it has been obtained. Can Other Denominations Use The Church? The clergy at St Peter’s are more than happy to marry couples from other denominations. Sometimes there is a request for couples to be married in the Church by their own Ministers or Pastors of other Christian denominations using their own orders of service. Regretfully, this is not permitted. However, the clergy are happy to permit pastors from other denominations to pray for the couple or to do a Scriptural reading or to preach during the service. Is It Possible To Hire The Hall? The hall can be hired for light refreshments after the wedding, the rate can be confirmed by the vicar. This is generally done by couples who wish to offer hospitality to friends who will not be attending the formal wedding reception. Are Confetti or Flower Petals Permitted? Confetti is not permitted but natural flower petals and rice are all allowed provided they are not dispersed inside the church. We would prefer that the rice or petals are thrown when the Bridal couple have moved away from the immediate entrance area onto the lawn. What Are The Expected Donations / Financial Contributions? It is expected that couples who get married in St Peter’s Church will make a financial contribution both for the use of the Church and facilities, and for the considerable time and expertise given in all the preparation involved in making this an extra special day. Nearly eight hours of clergy time is given to each Wedding, which includes the initial meeting, two preparation evenings, a rehearsal and the Wedding Service. Donation towards the Vicar’s time is suggested at $200. In addition, the expected contribution for the use of the church itself is $400. It is best if both amounts are handed to the Vicar at the time of handing over the Marriage Licence at least nine days prior to the wedding day. Do The Celebrants Have The Right Of Refusal? The clergy are licensed marriage celebrants and as such are bound by the laws not only of the Church, but also of Aotearoa New Zealand. They will therefore not perform a wedding service which violates either legal system. Also, was a situation to arise where it would be out of keeping with the nature of Christian Marriage to proceed with either the arrangements or the Service itself, then the Vicar reserves the right to cancel the proceedings. Such drastic action would only be precipitated if either member of the bridal couple were under the influence of alcohol or drugs or acting in a way inappropriate to a Christian Service. There is something very special about the first home that a couple share as husband and wife. The Church recognises the importance of this and has a brief and appropriate service for the Blessing of a Home. Please feel free to ask the Vicar about this service. Once a family begins to arrive it is natural to think in terms of their admission into the on-going life of the Church and the opportunity to give thanks to God for their safe arrival. The Anglican policy on where a child should be Baptised is that this should normally take place in the parish church where the parents are involved in its life, worship and witness. In this way the child is welcomed into the active life of the local Church where it will be growing up and becoming part of the normal life of that congregation. As you take your vows in the presence of God, our intention is to do all we can to make your Wedding Day the happiest and most memorable occasion of your life. Our desire is to see not only the Bride and Groom adequately prepared and equipped for a lasting and enriching married life together, but also to create in the wedding service an atmosphere of warmth and friendliness when your friends and families will truly rejoice with you in the celebration of your marriage in a relaxed and joyful atmosphere. Please don’t hesitate to ask about any matter which you may not be sure of. We are here to help. With every blessing for your arrangements and the future.